Today starts a week celebrating all volunteers across the country. This week is also aimed at raising awareness about the benefits of becoming a volunteer. As well as helping others, Volunteering as been shown to have a positive impact on the lives of those who are volunteering. I know how volunteering helped me in way that I would never have imagined. It made me feel good that I was helping someone out. It gave me back my confidence and I went on to learn new skills that I never knew I had. We had moved due to my husband’s job. I went from working full-time and having a very active social life to living in the country with no job. It wasn’t for me, I felt isolated and extremely lonely. I looked into volunteering and found a local Resource Centre that were looking for volunteers to help at their older people’s club once a month. I would help make tea, help with the bingo and arrange the monthly raffle. We would encourage the group to participate in some country dancing. The people who came to the group were all elderly and some very isolated. For some it was the only time they got out. We would also go on a year’s trip away which consisted of 2 nights away in a lovely hotel with lots of activities organised by the group. If it were not for volunteers this group would not have survived. From that group I then started volunteering with a disability group. The people in this group were amazing, to be part of such a happy and proactive group was a privilege. We also had many trips out and had some great laughs. Being part of this group, I got to know the people, discovering their personalities and looking right past their disability. If it were not for volunteers this group would not have survived. I then was asked to be a member of the Board of Directors, something that I would never have thought I would have done. How honoured I was to be asked. Every single member on the board was a volunteer and gave up their time for the monthly meetings. I then trained to be a facilitator for the Rainbow group that took place at the Centre. This was for children that was going through a family separation or bereavement. This for me this was volunteering at its best. To work with these amazing children through such tough times made me feel very humble. I certainly learnt a lot from these little ones. I then went on to train to become a Coordination for the Rainbows Group where I would be responsible for the group facilitator and the children. If it were not for volunteers this group would not have survived. I was then asked to volunteer on the HR sub group at the Centre. I also became a member on the volunteers committee and helped to produce a booklet for the older people in the area with all useful information.If it were not for volunteers this group would not have survived. Throughout the years volunteering I was very privileged to have attended numerous training sessions, workshops and open days. I helped organise various fun days, Christmas Fayre and education sessions. I took first aid courses, I took courses that came with a certificate at the end and none of these ever cost me any money – just my time. From every course and workshop, I always learnt something that I not only used in my time as a volunteer, but often in my own personal life. I met some amazing people and it made me realise that volunteering actually did something for me. It gave me a purpose, to get out, to meet people, and knowing that my volunteering actually meant a lot to people. The good thing about volunteering is you can choose to volunteer in an area that you are really interested in. You can often choose your hours, give as little of as many as you like. You make friends, learn new skills and for the gesture of your time can often mean so very much to someone. Staff training is important not only for the Receptionist but for the patient too. Trained staff are confident staff and therefore can often handle difficult situations in the Reception area. But how many Practices offer Disability Awareness Training for their Reception staff? The attitudes of staff are crucial in ensuring that the needs of disabled people are met. Are you staff prepared if a wheelchair user needs assistance or if a patient has a visual impairment and needs help? It is important that Receptionists understand the needs of your patients that have a disability. And of course there are the hidden disabilities that we need to be made aware of too. These people and people with permanent disabilities are important when it comes to evacuating the building in the case of an emergency. Are you staff trained in emergency evacuation and assisting people with a disability in such an event? When someone speaks of a disabled person do you automatically think ………….Wheelchair? Actually wheelchair users only account for 6% of that figure. There are so many disabilities that we cannot actually see. Some disabilities you can see and some you can’t. Whilst it is very easy identify someone in a wheelchair, be it a guide dog or walking aid, or someone who has aids in their ears, it is the hidden disability that can often go unnoticed. People today still have problems with reading and writing; I came across this several times when I was working in Reception. 99% of the patients would not own up to this, it was simple observation on my part that identify this and in turn I was able to help the patient without too much of a fuss drawn to them. It is important when patients object to filling out forms at the front desk that you do not “insist” it simply might be that they cannot read or write. Often the excuses they use when asked to complete a form is “oh I have left my glasses at home” or I am in a hurry can I take it away and bring it back later” and even “I am not sure of the information I will need to go home and find this out and bring it back later” to which some will but many will not return the forms. People that have problems reading and writing do feel intimidated if the Receptionist insists as they quite often have to “own up” to their disability often causing embarrassment to them and the Receptionist. Knowing the signs the Receptionist will be able to deal with the situation in such a way that the patient is unaware of the Receptionists suspicions. Offering to help fill out the form in a quiet area is often met with such a relief from the patient. They are more than happy to let the Receptionist help. Again, if the Receptionist suspects that the patient might have problems with reading and writing she can offer to help the patient in the future. Trust is built up between the patient and the Receptionist and quite often the patient will confide in the Receptionist of their disability. 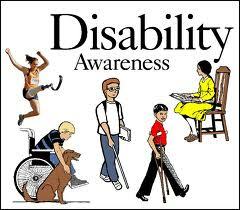 It is important that staff have an understanding of different disabilities, and how best to help them. Often speakers from different Disability organisations will only be too happy to come into your organisation and speak to staff, highlighting areas that will benefit the patients and the Receptionists. Sending staff on external training courses is also an option, you could send one member of staff and they could come back and train other Receptionists, or you could send different staff to different courses therefore getting a mix of knowledge in the Reception area. All of which will greatly benefit the patients and the Receptionists. Disabled people go to school, work, form relationships, do their washing, eat, get angry, pay taxes, laugh, try, have prejudices, vote, plan and dream like anyone else. Whilst the disability is an integral part of who they are, it alone does not define them, do not label them. Dementia is something many of us will come across, be it through our work, family, friends or personal circumstances. For those of us that come across with through work it is important that you understand the needs of the dementia, to be aware or their needs – and just as important the needs of their carers. I have witnessed this through family members and it takes it toll on the carer who in turn might become ill through the stresses of caring for the patient. Unless you have ever experienced caring for someone with dementia it is so very hard to explain, every day living can be challenging and utterly exhausting. Whilst I cannot take credit for the game I would like to say done to Bupa for sharing this with us all and a small part of what life as a Dementia sufferer can be like. Walk in my shoes – would you treat me any differently. A moving short clip from you tube from Central Adelaide Local Health Network. Any one of us could be one of the people in this film. We have and will be patients and loved ones at some point in our lives. Treat people with the respect they deserve. To often we underestimate the power of a touch, a smile, a kind word, a listening ear, an honest compliment, or the smallest art of caring all of which have the potential to turn a life around. When I started at a surgery I was given the job of Carers Lead. Now back then I didn’t really know much about Carers – in fact to be honest I actually thought that all Carers were in fact paid workers – those that looked after people in their home or in a residential home. How wrong was I? I soon became to realise that there were hundreds of unsung heroes within our practice looking after people day in and day for nothing – they purely did it out of love. What is a definition of a Carer? A carer is someone who without payment, provides help and support to a friend neighbour or relative who could not manage otherwise because of frailty, illness or disability including mental health problems and substance misuse. 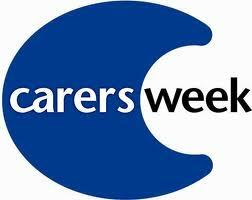 Anyone can become a carer. I attended a meeting today, and a pretty important one too. The weather was hot and sunny outside and no there was air conditioning in the conference room. There was no water on the table for the participants to drink; there were at least 100 people in the room. The meeting started, the chairperson pointed to the door that we could exit when we needed to use the toilet – but no instructions in the event of an emergency. To my knowledge there were at least two people with sight problems in the room, one of them blind. She asked everyone to switch off his or her mobile phones. During the meeting at least two mobiles rang, obviously not switched off. 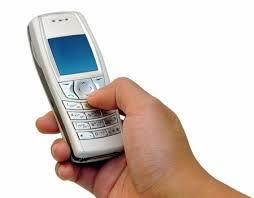 I sat around a table of 7 and at least 5 out of the 7 were constantly checking and using their mobile phones. I sat and watched a woman updating her facebook and twitter page, and constantly texting throughout the whole meeting. I looked around the room and seen several other people with their heads bowed down their hands down low grasping their mobile phones tapping away. It was not a meeting that would require facebook updates or even a Twitter feed, but what it did show that people might have switched off their phones, but they were still using them. I wonder how many of these people actually knew what went on in this meeting today.